25 gram (0.88oz) re-sealable package. Made from 100% Dried Wild Pacific Salmon. 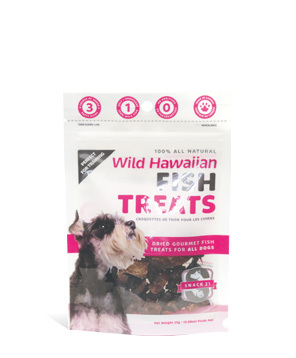 Ideal for pets (especially dogs) with allergies to meat products and chemical additives.